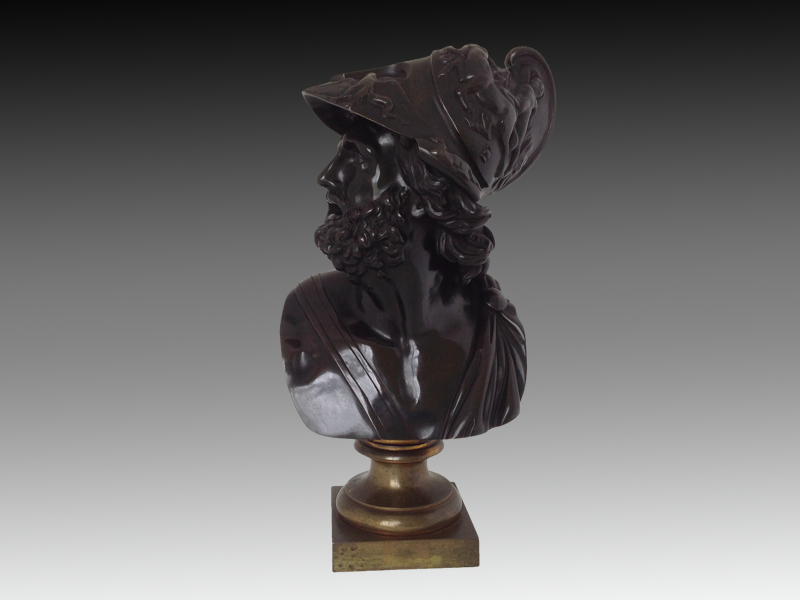 A late 19th century, French, bronze bust of Menelaus (Ajax). 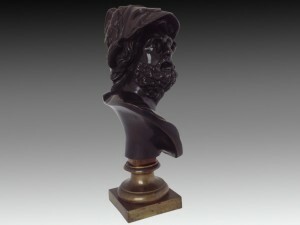 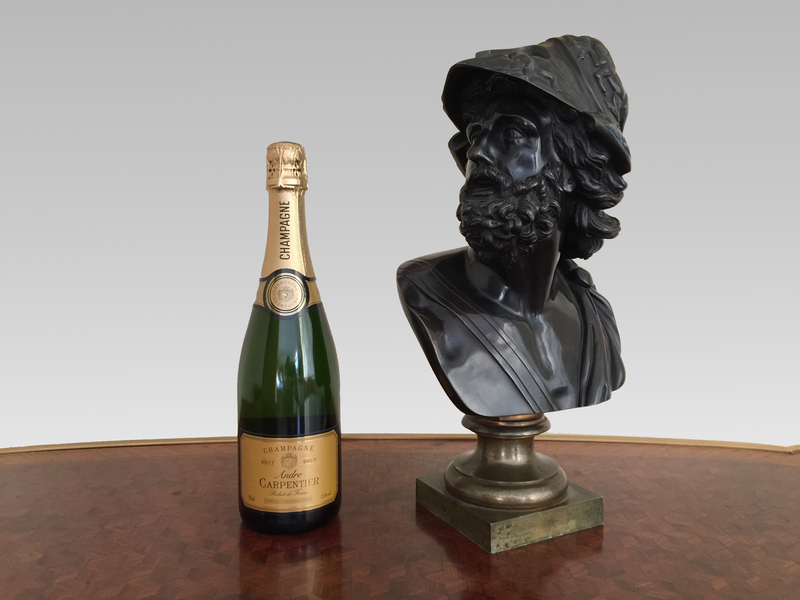 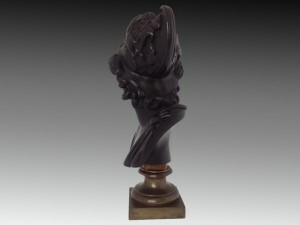 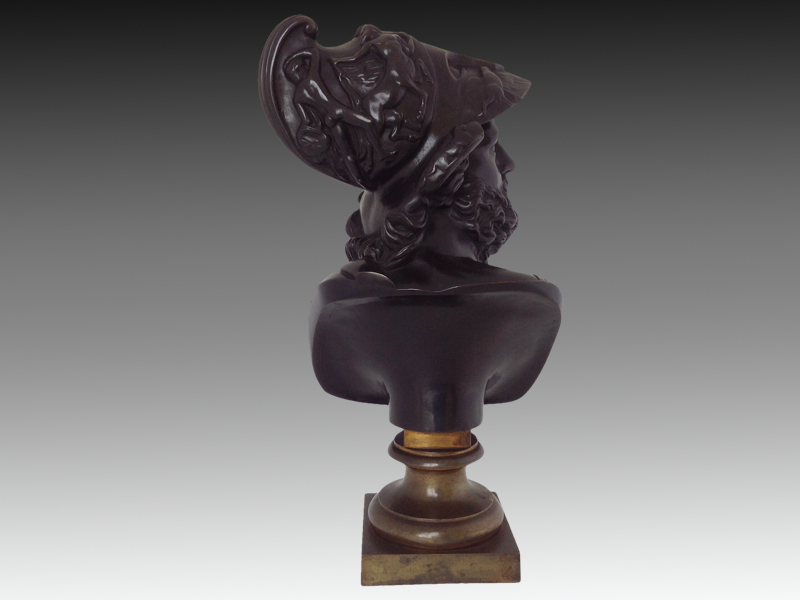 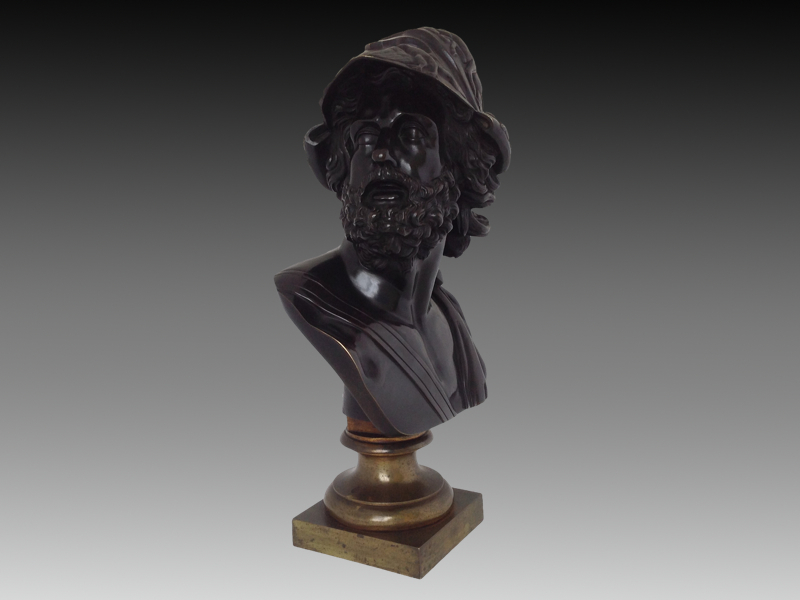 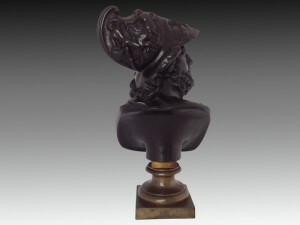 Of large size, the classical bust after the antique, head turned to dexter with helmet depicting men at war, standing on a cast socle with traces of original gilding. 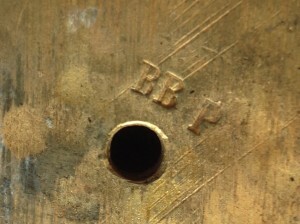 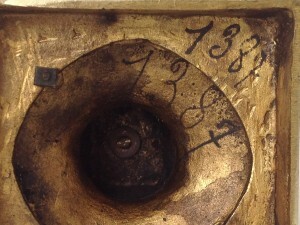 The underside impressed ‘BB P’, and with ink numbering 1387. 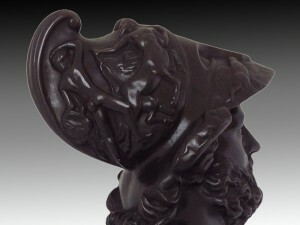 Possibly cast by Bardedienne. 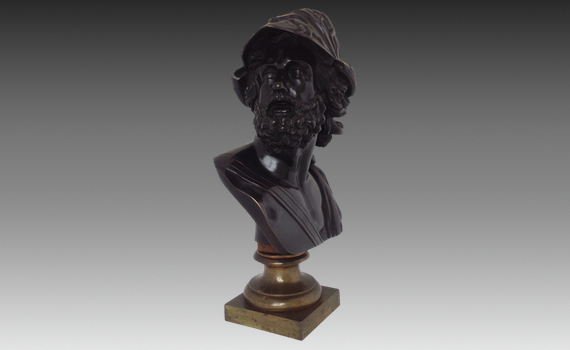 This bronze bust is after the marble sculpture found in the Loggia dei Lanzi, Florence ‘Menelaus supporting the body of Patroclus’, so-titled due to its apparent representation of an episode in the Iliad featuring the characters Menelaus and Patroclus.